GenomeTrakr database and network: WGS network for real-time characterization and source tracking of foodborne pathogens. A national database of federal, state, academic and international laboratories has been using WGS data to rapidly characterize pathogens. This mature GenomeTrakr network is part of NCBI Pathogen Detection web site. Public health agencies (FDA, CDC and USDA-FSIS) collect and share data in real time. This high-resolution, rapidly growing database is actively being used in outbreak investigations at state, national, and international levels. GenomeTrakr database has demonstrated how distributed network of desktop WGS sequencers can be used in concert with traditional epidemiology and investigation for source tracking of foodborne pathogens. This new “open data” model allows greater transparency between federal/state agencies, industry partners, academia, and international collaborators. This database has continued to grow and diversify the foodborne pathogen database doubling in the last year to ~207,000 draft genomes. Two new international surveillance efforts were added to collect food, animal and environmental isolates including Campylobacter. NCBI has release new data analysis tools that improve rapid interpretation and visualization. NCBI, currently is producing daily clustering results for 22 pathogens including: Salmonella, Listeria, E. coli and Campylobacter. The high-resolution WGS signal in concert with epidemiological or inspection evidence has drastically enhanced our ability to identify the food sources of current outbreaks for foodborne pathogens with ~200 regulatory clusters examined in 2017. Results demonstrate global benefits of having an open data model. Understanding root causes of foodborne contamination assists our academic, public health and industry partners to develop preventative controls to make food safer globally. 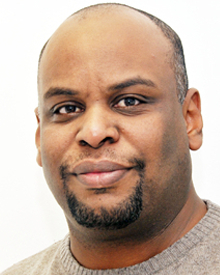 Dr. Mushal Allam is a senior bioinformatics scientist at the Sequencing Core Facility, National Institute for Communicable Diseases, Johannesburg, South Africa. He have BSc (Hons) in Biology, MSc in Molecular Biology and PhD in Bioinformatics. His research interests focus on applications of genomics and bioinformatics in microbial diversity, evolution, pathogenesis, virulence and antimicrobial resistance. Dr. Allard is a Senior Biomedical Research Services Officer in the Division of Microbiology in FDA’s Office of Regulatory Science. Dr. Allard joined The US FDA in 2008 where he uses Whole Genome Sequencing (WGS) of foodborne pathogens to identify and characterize outbreaks of bacterial strains, particularly Salmonella, E. coli, and Listeria. Dr. Allard specializes in both phylogenetic analysis, as well as the biochemical laboratory methods which generate the WGS information. Dr. Allard helped develop the first distributed network of laboratories that utilize whole genome sequencing for pathogen identification and traceback called the GenomeTrakr database, which is part of the NCBI Pathogen Detection web site. These tools are used daily for outbreak investigations. Dr. Allard acts as senior scientist to advise the US FDA on both WGS and phylogenetic methods as they apply to public health. 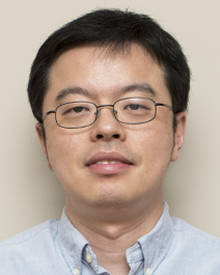 Dr. Yi Chen has been with the Food and Drug Administration’s Center for Food Safety and Applied Nutrition (CFSAN) since 2008 and is currently a research microbiologist in the Division of Microbiology. He has been working on the method development and validation for the detection, enumeration and whole genome sequencing analysis of Listeria monocytogenes. He has developed, compared and evaluated rapid methods for screening L. monocytogenes in food and environmental matrices. Dr. Chen also studied behaviors of L. monocytogenes in various food matrices to elucidate the relative risk of L. monocytogenes contamination in these foods. In addition, he has performed whole genome sequencing analysis on L. monocytogenes strains isolated during regular surveillance and outbreak response, which has improved our understanding on the epidemiology and ecological persistence of this pathogen. As a subject matter expert on L. monocytogenes, he has provided scientific advice for various FDA assignments, outbreak investigations and laboratory analyses. He currently serves as the General Referee for AOAC International and editorial board member for Applied and Environmental Microbiology. He also serves on the technical committee of MicroVal, Expert Review Panel of AOAC and US tag of International Standard Organization. Don Cowan was educated (BSc, MSc, PhD) at the University of Waikato (New Zealand) and completed a 4-year period of postdoctoral research under the supervision of Professor Roy Daniel before moving to a Lectureship at University College London (UK) in 1985. After 16 years in London he was appointed to the Chair of Microbiology and Head of the Department of Biotechnology at the University of the Western Cape (RSA), where he established the Institute for Microbial Ecology and Metagenomics. 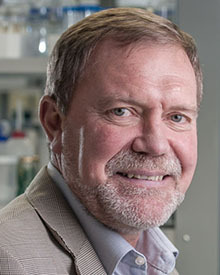 In 2012 he moved to the University of Pretoria where he is the Director of both the Genomics Research Institute and the Centre for Microbial Ecology and Genomics. Don’s research is in the fields of microbial ecology, microbial genomics and applied microbiology, where he and his team use modern ‘omics’ methods to understand the diversity and function of microorganisms in different environments. 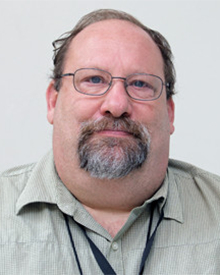 Much of his research focuses on the microbiology of extreme environments, including hot (Namib) and cold (Antarctic) desert soils, but he also supervises research projects investigating the rhizospheric zones of economic crop plant species, and is currently leading the pan-African African Soil Microbiome project. He works with many other research laboratories in South Africa and across the world. Don has published over 350 research papers, review articles and book chapters and sits on the Editorial Boards of 14 international journals. He has an h-index of 43 (Scopus). In the course of his career, Don has trained and graduated 41 PhD students and 48 MSc students. As Director of the Centre for Microbial Ecology and Genomics, he currently supervises or co-supervises a research team of 3 research fellows, 9 postdoctoral researchers, 10 PhDs and 5 MScs. Don also holds the post of Adjunct Professor at the University of Waikato (NZ), was elected as a Fellow of the Royal Society of South Africa in 2007, as a Member of the Academy of Sciences of South Africa in 2008, and as an Honorary Fellow of the Royal Society of New Zealand in 2009. He was awarded the University of the Western Cape Vice-Rector’s Award for Research Excellence in 2008 and the South African Society for Microbiology Medal for Research Excellence in 2009. He is the immediate past-President of the Royal Society of South Africa. He was awarded an NRF A-rating in 2013 and received the National Science and Technology Forum Capacity Development award in 2014. In April 2015 he received the University of Pretoria’s highest research award, the Chancellor’s Medal. He was elected as a Fellow of African Academy of Sciences in March 2017. Registration closes on Monday 08 October 2018. Specify any other dietary requirements. By clicking on 'Register', you confirm attendance and will be liable for a non-arrival fee of R750.00 VAT incl. should you not attend without prior cancellation. © 2018 Carlamani Conferences and Events. All rights reserved.